Semi-fitted style. Coolplus® textured fabric is moisture wicking and quick drying. Self fabric colla..
Wicking properties. UPF 50+ UV protection. Semi-fitted style with side seams. 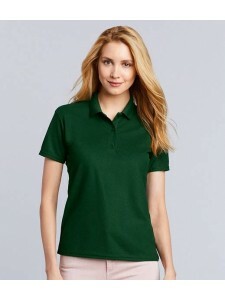 Three button placket w..
Easy care, moisture wicking fabric. Ribbed collar and cuffs. Taped neck. Three self colour button pl..